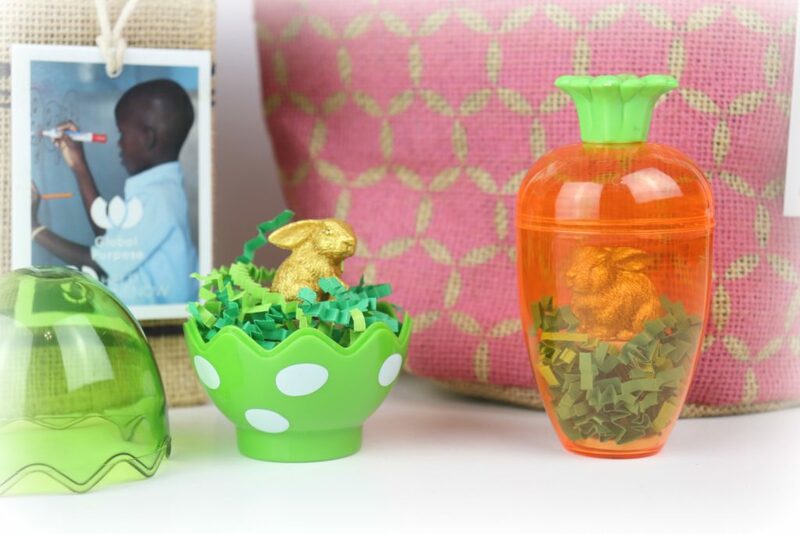 Make this gold bunny miniature cloche to give to friends for Easter. This is a sponsored post with Global Purpose but all ideas and opinions are my own. I’ve mentioned in the past how much I love gold bunnies at Easter. They bring back so many fun childhood memories! This year I’m making my gold bunny in miniature. 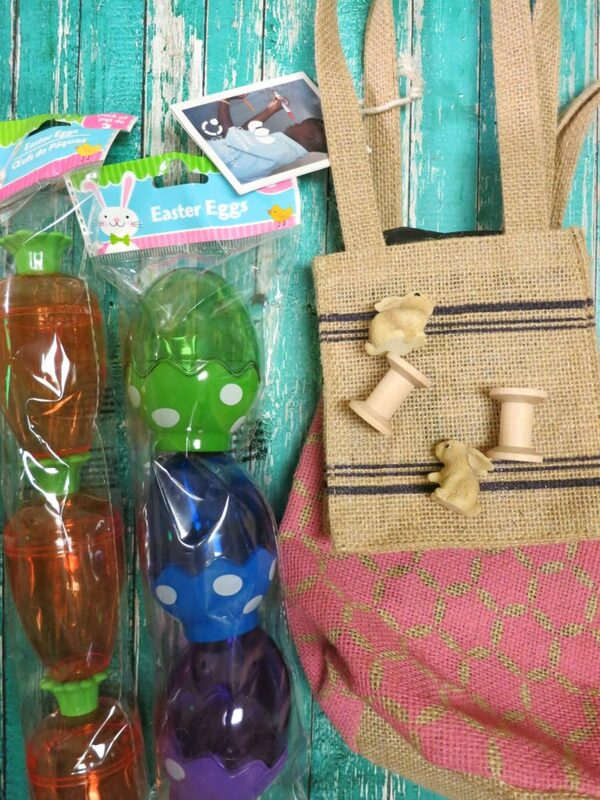 These teeny Easter cloches will make adorable desk decor and sweet little gifts for your friends. To make them even sweeter, I packaged them in bags that help provide funding to programs that bring positive change to underserved communities. 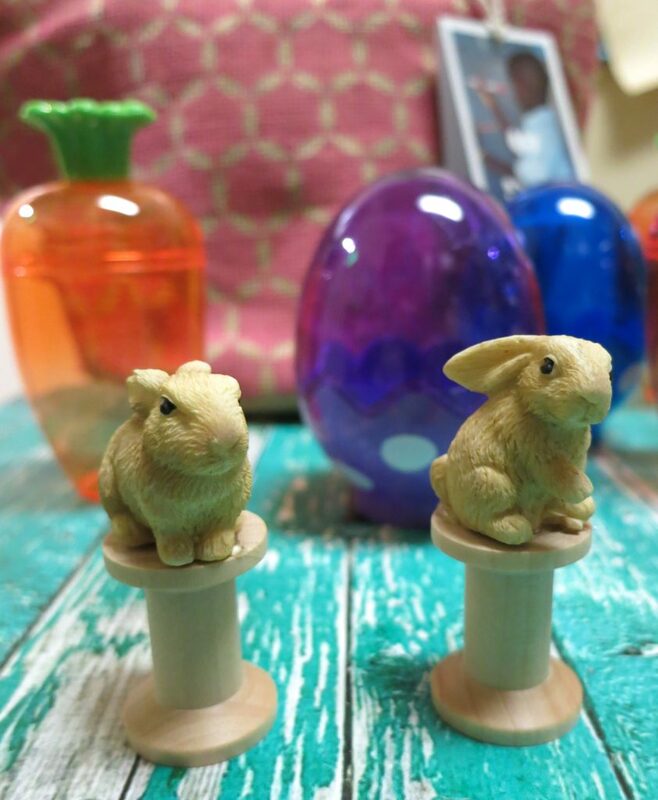 Hot glue the rabbits onto the wood spools. This will be the stand that goes inside the mini cloche. 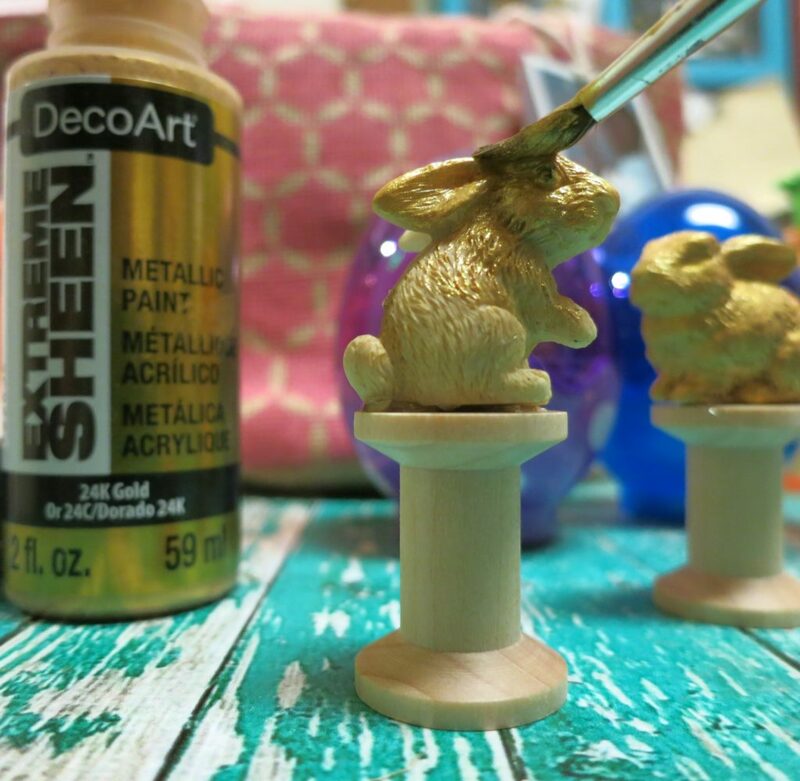 Paint the rabbits with the metallic gold paint. Let it dry. Glue the bottom of the wooden spool to the base of the container. 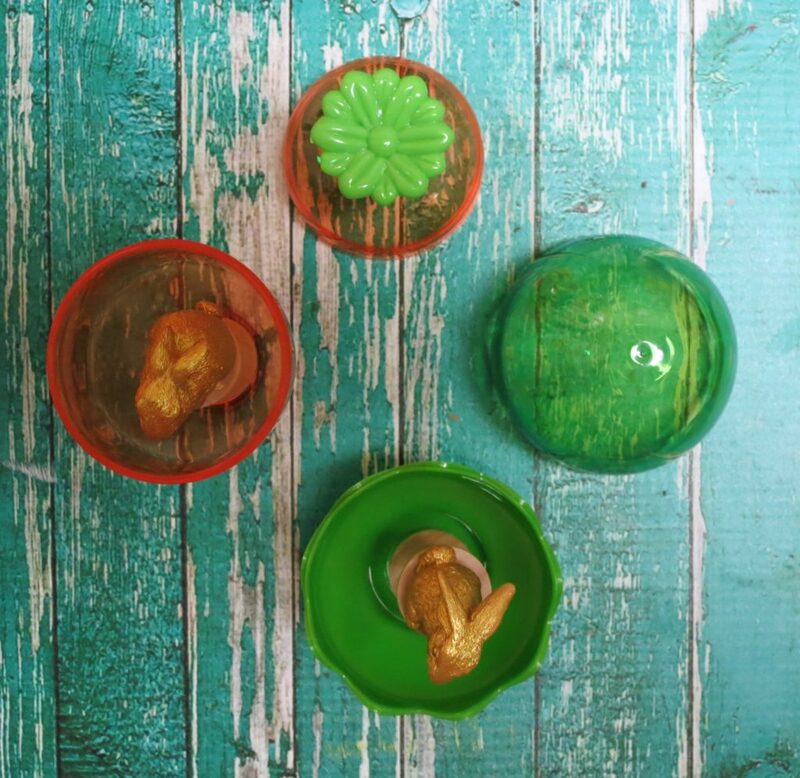 Fill the bottom of the plastic container with the faux grass filler. Replace the top on the container, and share the itty bitty cuteness! 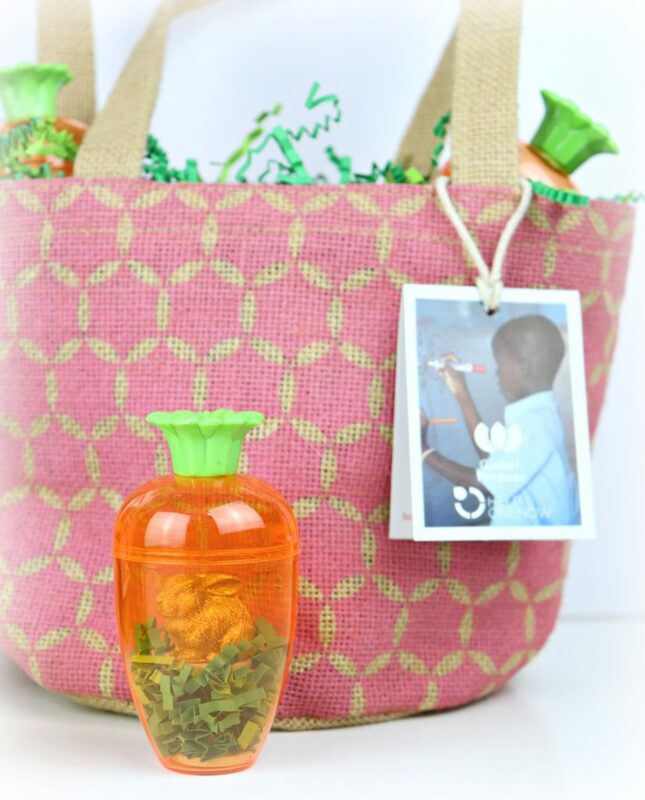 I love the way three of the carrot containers look popping out of this cheery pink Global Purpose bag. I added some faux grass filler and then added the carrot cloches. 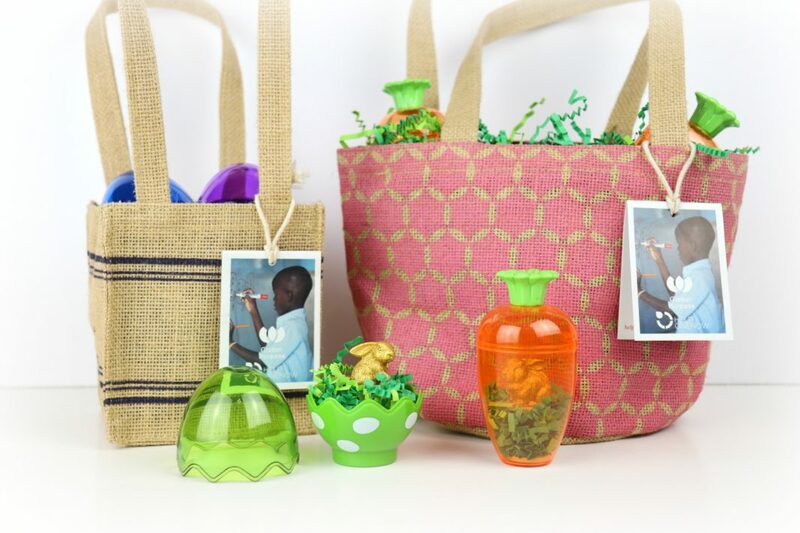 The presentation is really adorable with the carrot tops peeking out of the bag, and the recipient will be delighted to see that the egg is an adorable gold bunny cloche! 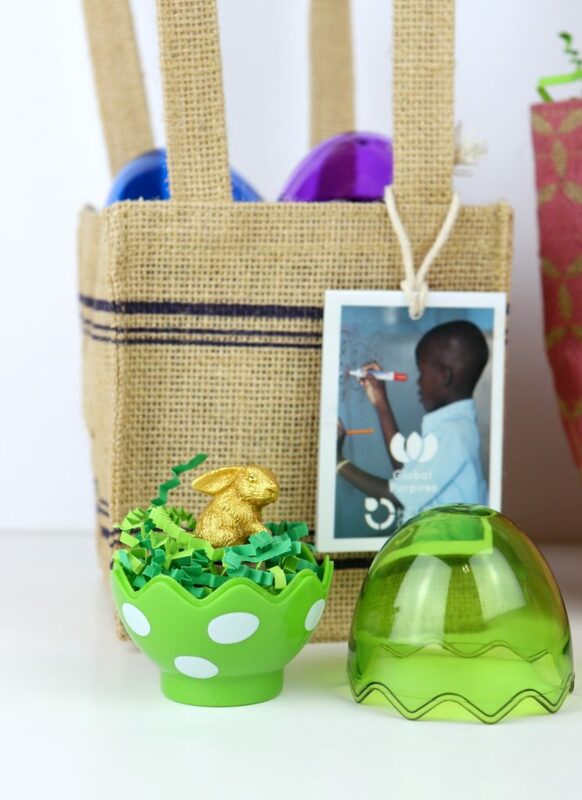 The smaller giving bag from Global Purpose is perfect for holding the egg mini cloche. You can find the bags at your local HEB grocery store if you live in Texas, otherwise you can visit their site here to learn more about where to get the bags and to learn about the good work that they do. 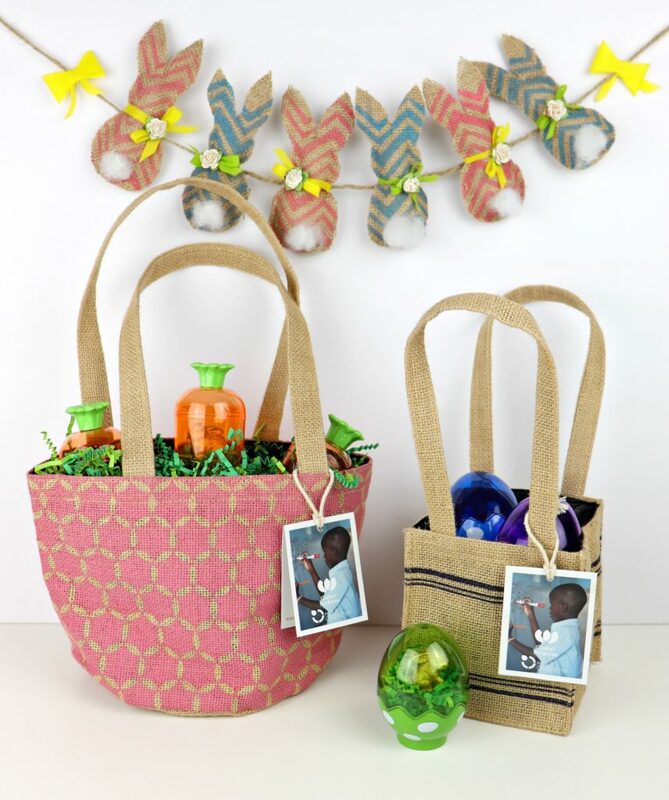 Global Purpose partners with people all over the world to provide quality gift bags made from sustainable resources. The proceeds go to fund fund teachers and classrooms, because education helps communities break the cycle of poverty by opening new opportunities to families. Check out Global Purpose on Facebook, Twitter, and Instagram. Where did you get the miniature rabbits? I went to Hobby Lobby and got the containers but did not see any mini bunnies.